The central thrust of this book is the relationship of magnetic properties and device performance to structure at atomic, nanometer, and submicron length scales. Emphasis is placed on advances in synthesis and characterization, including theoretical and computational treatments applied to model systems and to device structures like spin valves, CMR and GMR materials. Results from diverse experimental tools and from many theoretical and computational approaches are organized around the areas of magnetic and magnetotransport phenomena and their applications. 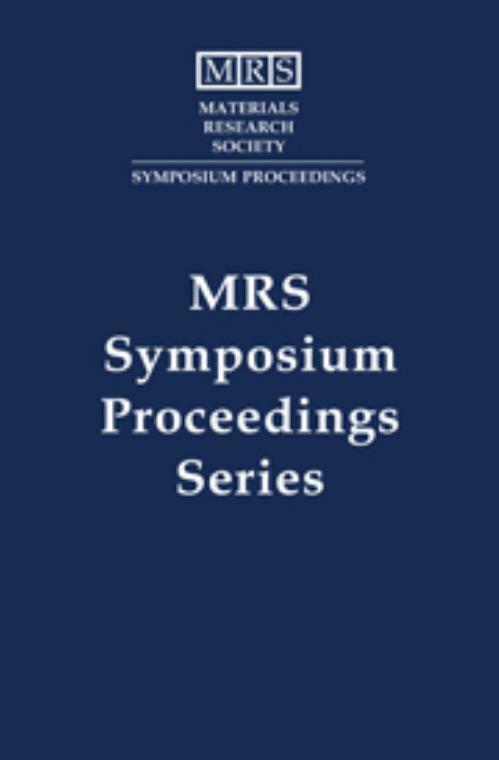 Topics include: synthesis, processing and characteriza-tion; novel applications and approaches for magnetism; nano/microstructure and magnetic properties; structure and properties - mixing, strain and steps; nanoscale magnetic confinement, particles and arrays; magnetization reversal and domain structure; synchrotron radiation studies of magnetic materials; magneto-optic properties, effects and measurements; magnetic phenomena - theory and experiment; spin-dependent transport - CMR and tunneling; and interlayer coupling and spin polarization. Wim de Jonge Technische Universiteit Eindhoven, The Netherlands. Katayun Barmak Lehigh University, Pennsylvania. James Tobin Lawrence Livermore National Laboratory, California.